You can hand write your notes using a stylus on a touchscreen or by drawing with your mouse. These notes can then be converted to typed text. This article shows OneNote 2016, but the process works the same in OneNote 2013. Step 1:Navigate to the page where you would like to add notes. Click the Draw tab, then click the Expand arrow next to the pen options. 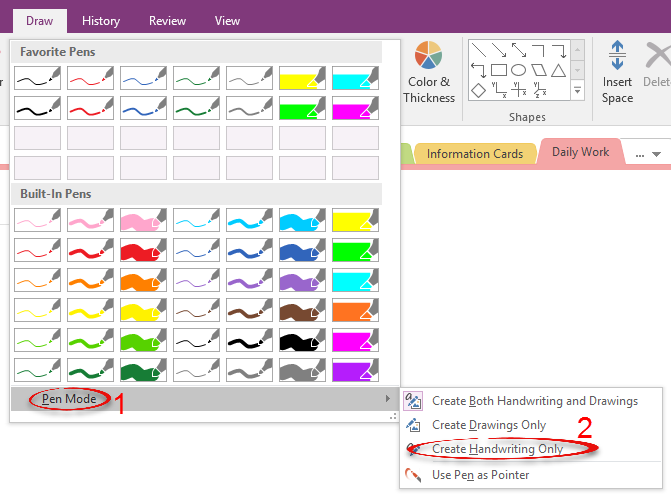 Click Pen Mode at the bottom of the list of pens, then select Create Handwriting Only. Select the type of pen you wish to use from the list. If you have a touchscreen device, use your finger or stylus to begin taking notes. Otherwise, you can use your mouse. Still under the Draw tab, select Ink to Text in the Convert group. Step 6:Your handwriting will be converted to typed text.